Providers of short-term, delayed deposit loans would be required to provide more information to borrowers under a bill advanced by lawmakers April 6. To secure a delayed deposit loan—often called a payday loan—a borrower typically submits a personal check for the loan amount, which is then held and cashed by the lender at the end of the loan period, which typically is 34 days. 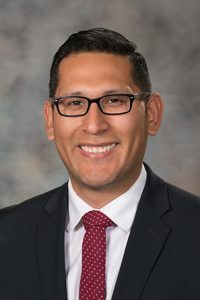 LB194, introduced by Omaha Sen. Tony Vargas, would have limited the amount of interest that could be charged on a delayed deposit loan to 36 percent. 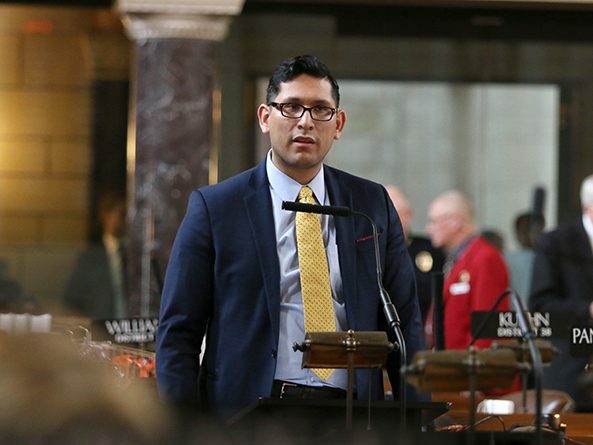 Vargas said some Nebraska delayed deposit lenders currently charge more than 400 percent interest on loans, creating a cycle of debt and poverty. A Banking, Commerce and Insurance Committee amendment, adopted 47-0, replaced the bill. As amended, it would require that a lender provide written notice to a borrower including the name of the borrower, transaction date and amount, payment due date and total payment due and the total fees imposed on the transaction, both as a dollar amount and an annual percentage rate. The notice would state that such loans only should be used to meet short-term cash needs, that the total cost of a transaction cannot exceed $500, that the borrower has the right to rescind a transaction before the end of the next business day and that the borrower has the right to rescind authorization for an electronic payment. Any fees charged to individuals on active military duty or their spouses and dependents would not exceed the amount allowed under federal law. If a check held by a lender is returned unpaid due to insufficient funds, a closed account, a stop-payment order or other reason, the lender could exercise all civil means to collect the face value of the check. The lender could collect one returned check charge for each delayed deposit, not to exceed $15, plus court costs and attorney’s fees. A borrower who is unable to pay back a loan when due could request an extended payment plan once in any 12-month period. The bill would require lenders to accept prepayment of a loan from a borrower without any penalty. Finally, lenders would be required to provide information annually to the state Director of Banking and Finance, who would submit a final report to the Legislature. Following the adoption of a technical amendment, senators advanced the bill to select file on a 47-0 vote.